Up to two tickets per valid student ID. Tickets can be purchased in advance but must be picked up from the box office starting two hours before the show. Valid while seats remain. Our 4th Annual Charlotte Jazz Festival is officially ONE WEEK AWAY! Check out this fun video our friends at @charlotteclture put together! What are you looking forward to most?! For complete details, click the link in our bio! Wishing you the hoppiest of Easter Sundays with another gorgeous tribute to our favorite GIANT BUNNIES headed to the Queen City in just a few weeks! 🐇🐰 They'll take over The Green Uptown April 29 - May 11 as part of the Charlotte SHOUT! festival! For all the programs we're bringing to SHOUT! click the link in our bio! 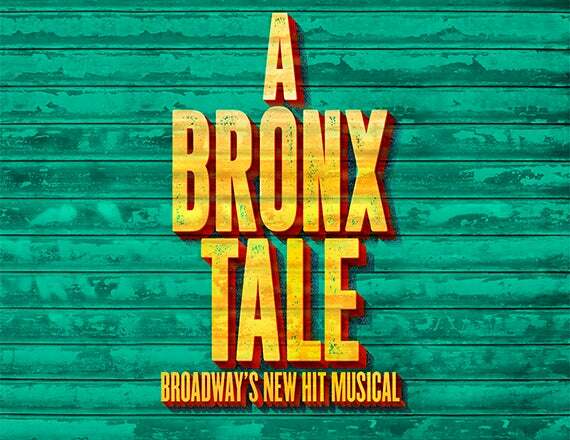 SIX 👏PERFORMANCES 👏 LEFT 👏⁣ ⁣ The incredible reviews of @bronxtalemusical keep pouring in! If you don't have this awesome show on your calendars yet, we HIGHLY recommend you gather your crew and make your way to Belk Theater ASAP! ⁣ For tickets and event details, click the link in our bio! Back where she belongs.... THIS SUMMER! 🎵 Tickets are officially ON SALE for Hello, Dolly! playing Belk Theater July 9 - 14! - staring Tony Award®-winning Broadway legend Betty Buckley! For tickets, click the link in our bio! Dear future 2019 @blumeyawards Best Actor and Actress winners...⁣ ⁣ Broadway superstar and #JimmyAwards super fan Ben Platt will return to the Minskoff Theatre to host the 2019 @jimmyawards® ceremony on June 24!⁣ ⁣ #BlumeyAwards #JimmyAwards #WellsFargo #Repost ・・・ We’re so excited that our number one fan, @bensplatt, is returning to host the 2019 #JimmyAwards! Tickets on sale now! CONTENT ALERT! These giant bunnies are headed to the Queen City in exactly 25 days to bless your social media feeds! Mark your calendars to check out "Intrude" - a FREE public interactive art display taking over The Green in Uptown April 29 - May 11 as part of @cltshout ⁣ ⁣ For a look at ALL of the events Blumenthal is bringing to Shout! click the link in our bio! Get ready for another epic INSTAGRAM TAKEOVER! Justin Myles from @Tap Dogs on Tour is taking over our IG stories TOMORROW, April 3! Follow along for all the fun #BTS action! They're at Knight Theater through Sunday! For tickets, click the link in our bio! Who’s looking forward to tapping their way to our gorgeous Knight Theater for @tapdogsofficial this week?! 😍 Great seats still available AND we’re offering $25 Last Minute Tickets! For details, click the link in our bio! Happiest of anniversaries to @aladdin, celebrating FIVE years on Broadway! Their gift to us? An INCREDIBLE performance from FIVE of their Genies! 🧞‍♂️🧞‍♂️🧞‍♂️🧞‍♂️🧞‍♂️ This incredible musical makes its Charlotte debut Sept. 10-29! For tickets, click the link in our bio! #Repost ・・・ Tonight we celebrated 5 years on Broadway with this epic surprise third act performance from 5 of our Genies! Check out the full thing in our bio.